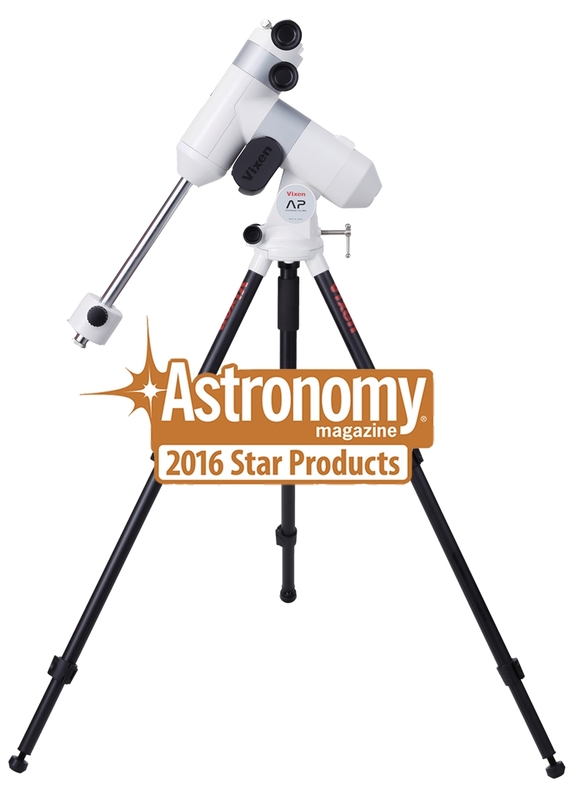 2016 Astronomy Magazine STAR Product! Vixen's Advanced Polaris-M Motorized EQ Mount is an upgrade from the basic AP mount with the addition of a Right Ascension motor module and the Star Book One hand controller. 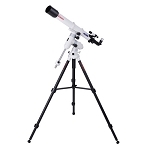 The micro-stepper motor's full-circle brass wheel gear allows the mount to track over extremely long periods with little error for long-exposure astrophotography or prolonged observation of a single celestial object. 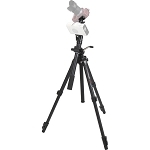 While this mount configuration does not have full Go-To capabilities, once you Polar align the mount and manually navigate to your subject, the Star Book One controller will track it across the right ascension all night. 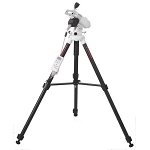 This version of the AP-M includes Vixen's TL130 adjustable-height tripod. 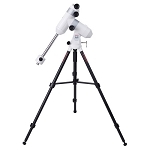 Use the included Star Book One hand controller to move the scope for navigating and to track celestial objects. 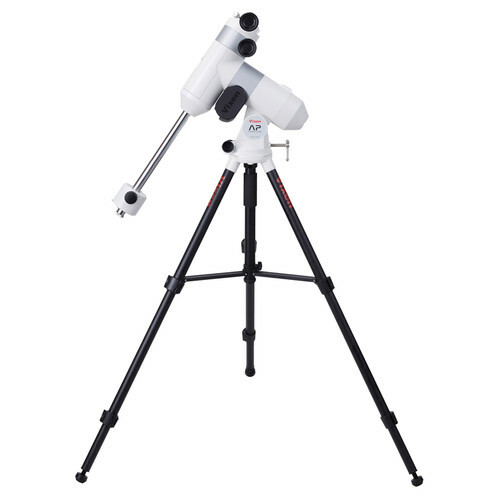 Since near and deep sky objects appear to move at different speeds, the controller features celestial, solar, lunar, and King's rate tracking speeds, in addition to slew speeds from 0.05x to 1000x. 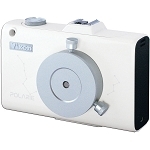 An integrated autoguider port adds to the mount's usability.